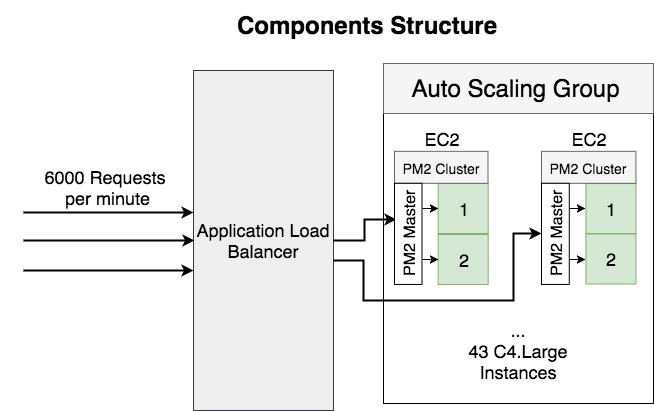 TL;DR Recently, I did some work related to auto scaling and performance tuning. 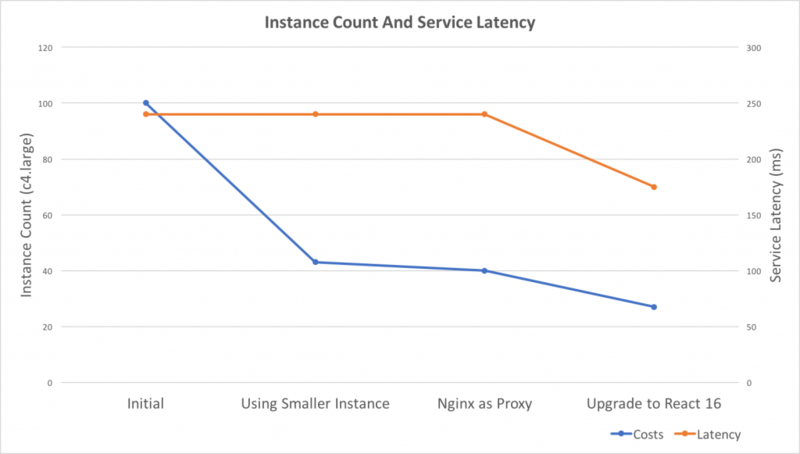 As a result, the costs reduced to 27% and service latency improved 25%. We’re using ElasticBeanstalk Blue/Green deployment by swapping DNS, and in front of the deployed services, there’s a company level Nginx to forward requests to different services. The TTL of DNS entry set to 1 minute, and Nginx will cache the resolved name entries until it expired. Each time after we deploy, all the requests hit the new environment after the DNS cache expired in Nginx. The response time increases a lot in the following a couple of minutes and becomes stable after 5 minutes. Because the response time impacted by upstream services, it’s better to analyze and improve react server render time which is a sync method call and not involve IO operations.